chi energy, prana, or life force, Orgonite®, etc. Karl Hans Welz is originally from Telfs/Tirol, a small town near Innsbruck, Austria (birth-house at www.zeisele.com). At a very early age he has developed a fascination for science in general and for the stars in particular. Consequently he has read eagerly any book on astronomy, astrophysics, mathematics and physics that he could get hold of. At age 16 he became interested in the subject of hypnosis. He began studying this discipline, later he perfected Autogenic Training and eventually, age 18, he began the practice of Hatha Yoga. This practice strengthened his then frail body within a few weeks and his overall condition and health improved considerably. Quite naturally these spectacular results gave Karl an incentive to explore other sciences that were not part of his academic curriculum. 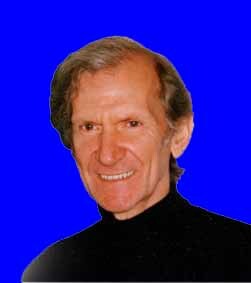 During his stays in South Africa, Switzerland, West Berlin and, since 1974, the United States of America, he continued his studies which he then rounded off with general semantics, radionics, Reichian psychology, and orgone physics. Shortly after his arrival in the United States, he built his first orgone accumulators and conducted multiple experiments with these devices, mostly with plants. It was obvious that what Reich called orgone was the same form of energy that he had explored for more than a decade before knowing of Reich. In fact, a device that he built years earlier following the plans of Korschelt turned out to be an orgone accumulator. Korschelt called his device a "Solar Ether Radiation Apparatus" -- its plans are dating back to 1897. Mesmer's barrels with iron filings, also built and tested by Welz, were obviously the earliest orgone accumulators of which we know that were built by a scientist with the accumulation of life force in mind. Therefore we can safely say that Franz Anton Mesmer was the first person of which we know to have invented the life force accumulator one and a half centuries before Reich. Soon he realized that orgone can be projected at any distance and that this projection follows structural links. This is a fact that was evident to people of all ages and cultures who harnessed life force, such as shamans, conjurers, spiritual workers, magicians, and healers. For this type transfer he had to develop a mathematical model that accounts for this phenomenon. This model also accounts for many of the amazing phenomena of ESP, magic, radionics, even astrology. In 1991, Karl Hans Welz did what nobody ever did before him: He built the first device that actually generates orgone energy, he invented the orgone generator®. 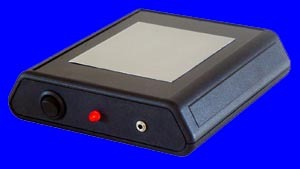 This new device is a significant step beyond the mere accumulating of orgone energy as happens inside the orgone accumulator. Furthermore he realized soon that the pulsed orgone energy (which an orgone generator® generates -- or a rotating planet) transforms DOR (deadly orgone) back into orgone energy. Above is the first device in human history that generated life force, or bio energy, chi, orgone energy, od, prana, ... every culture and language has another name for the same energy. This device was built in 1991 by Karl Hans Welz. The problem of "orgone accumulators going bad" when afflicted by DOR was successfully counteracted with a technological device, the orgone generator, for the first time in known history. More striking proof of this characteristic of orgone generators® was gained when he invented a DOR generator. The orgone generator® proved to be an effective way to counteract the negative effects of devices that develop DOR when operating, such as radioactive smoke detectors, fluorescent tubes, TV screens, and other electromagnetic pollution. 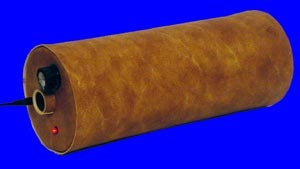 The first orgone generator® on the market was the EPG 2000, end of 1992, at first with alternating layers of steel wool and fiber glass, 14 inches long, 5 inches diameter. Soon it became very clear that the orgone generator® can be a significant help in many practices involving the use of life energy (or orgone) such as the development and practice of ESP, magic, self improvement, and trend generation with the help of astrological energies. Extensive testing confirmed that orgone that is pulsed in low frequencies (Alpha, Theta, Delta states, etc.) is considerably more effective to cause the corresponding brain wave states than any one of the now obsolete methods that use sound, light, or electric pulses. in 1992, when Mr. Welz invented a new orgone accumulating material, which he called orgonite®. Orgonite® is significantly more effective than the traditional materials such as layers of steel wool and fiber glass or celotex, and it allowed the manufacture of very small orgone generators and accumulators. 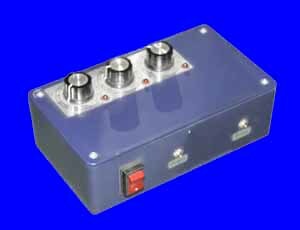 This new material, orgonite®, allows to make powerful Chi generators® of very small size such as the Chi generators® of the JU series. 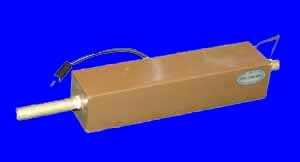 The first EPG 2000 orgone generator™® with orgonite® has been on the market since early 1993. Thousands of these devices have been sold all over the world to persons who decided to gain an edge in their various aspirations. 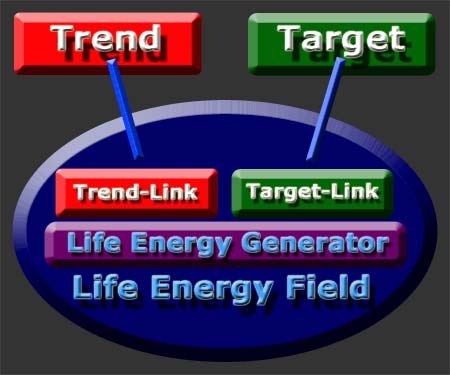 Orgonite® led to the next development: the power boosters and transfer disks. 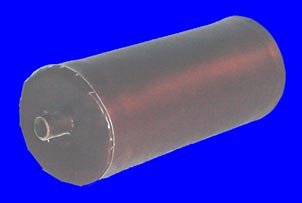 EPG 2000, 1993, already with a layer of orgonite® covering the coils inside. 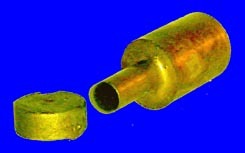 Left: PB 2000 one of the first power boosters, still with brass tubing. 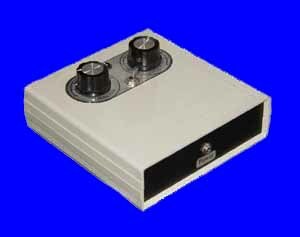 Middle: PBTBH 2000 Power Booster with Transfer disk to enhance male potency (potency booster), also brass tubing. Right: One of the early transfer couples. 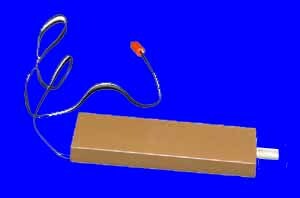 Below: one of the earlier LPOG 2400 Precision Low Pulse Orgone Generators, 1997, with silver tubing. 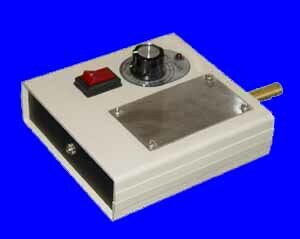 EPU 2200 HD - "Edge Power Unit 2200 Heavy Duty" Chi Generator® (1994), made with orgonite®. It was powered by an exterior module. EPU 2400 DL - "Edge Power Unit 2400 DeLuxe" Middle of the Line Chi Generator® (1994), made with orgonite®, that had to be powered by an exterior module. 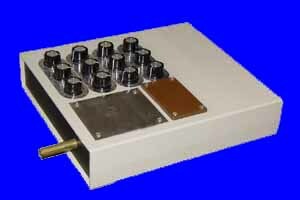 RAD 3000 HD - Early radionics device (1995) with nine dials, 100 positions each, and three dials to set the pulse rate of the built-in orgone generator®. In 1997 Karl Hans Welz succeeded to send signals accross the Atlantic machine to machine, using life force and not electromagnetic frequencies. True to the theories that he established earlier, amplifiers were not needed. This was another "first" in human history. In 2002 Karl Hans Welz invented a water optimizer. This device not only puts water back into ints original state by removing the noxious information and enlivening it again, it also powers it up with life force. This revolutionary device opened a new dimension with to this point unknown potentials of water activation. Presently Karl Hans Welz is working on several projects that will be as history making as the Chi generator®, orgonite® and his theories of hyper space technologies. His courses are available for free on the Internet, including the course "magic of the future" which reflects the scientific theories of action at a distance such as shamanism, ESP and radionics, which are based on the characteristics of life force, i.e., structural linkage and negative entropy. 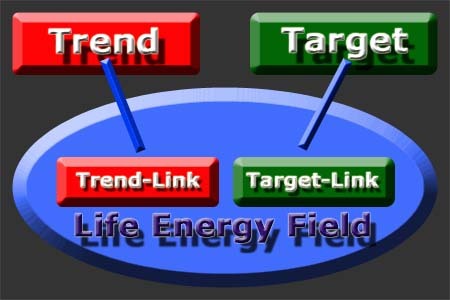 This is the diagram of a typical operation at a distance that lacks the supply of life force, usually because the practitioner is unaware of the importance of life force. Some life force is drawn from the surroundings or the equipment and practitioner. Results are possible. This type operation has a high rate of failure! The same operation at a distance as above, when performed by a knowledgeable practitioner who supplies the operation with life force, either his or her own energy using various practices or raising energy together with a group (as in many religious practices). In some more traditional approaches killing ("sacrificing") a chicken or other animal to release its life force is still practiced. Good results! Same operation at a distance, with a continuous supply of massive amounts of life force from a Chi Generator®! 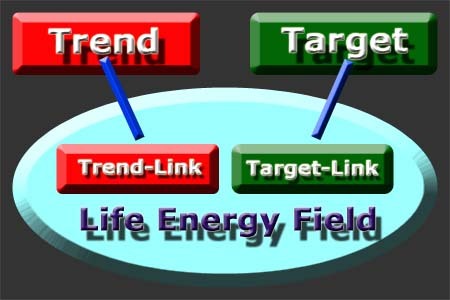 The continuous supply of life force keeps the projected trend energies going. Results can come fast. Success can be possible also in situations where everything else seems to fail! All rights reserved. This CD may not be reproduced as a whole or in part, transmitted, or utilized in any form by any means, electronic, photographic, or mechanical, including photocopying, recording, or by any information storage and retrieval system, without prior permission in writing by the author. Orgone Generator®, Chi Generator®, Prana Generator and Orgonite® are trademarks owned by Karl Hans Welz, the inventor of these devices and the material, Orgonite®, which attracts and accumulates life force. Any person other than our distributors who uses those registered trademarks does so in blatant violation of the law. It is up to you to use common sense and decide whether you trust such outfits and folks or not.